We just got back from an awesome Disneyland trip that left us with the post-trip blues a bit. But while we were gone, it was one of our little friend’s birthday. 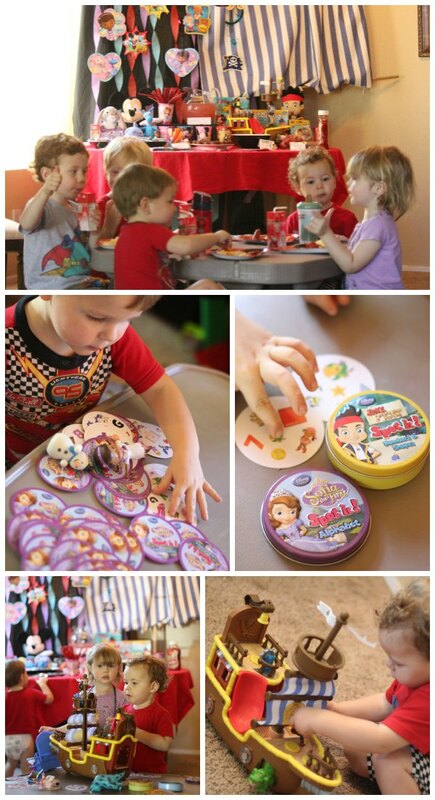 And, what a better way to celebrate (and help cure the post-Disney blues) than with a fun little Disney Junior party?! The boys are BIG Disney Junior fans. The favorite shows around here is definitely Jake and the Never Land Pirates and Mickey Mouse Clubhouse. But, they boys also enjoy Sophia the First and Doc McStuffins (among others). So, instead of focusing on one character/show, I thought it would fun to do a whole Disney Junior party/playdate! I wasn’t sure how it would turn out with all the different characters/shows, but everyone loved it! 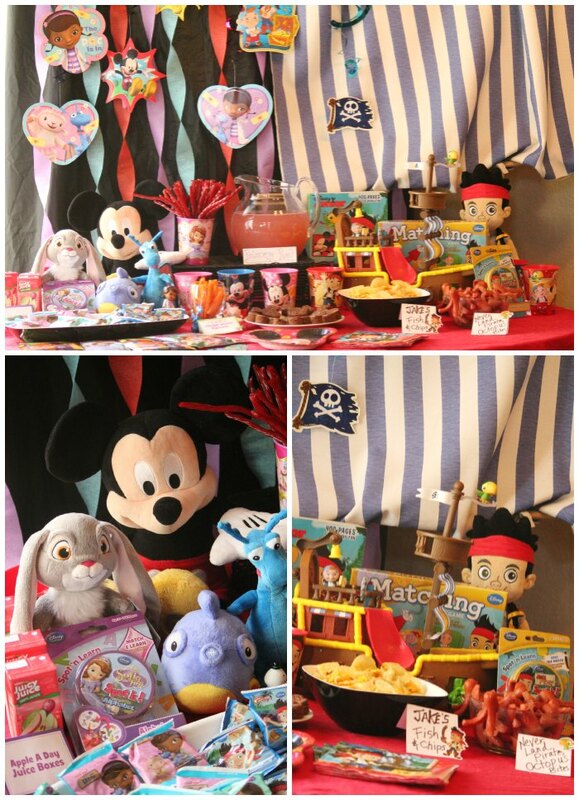 Minus the DIY Pirate Mast (from our Jake & the Never Land Pirates Party), putting together this Disney Junior party/playdate was incredibly easy with a few colors, fun foods, and party supplies from Walmart. 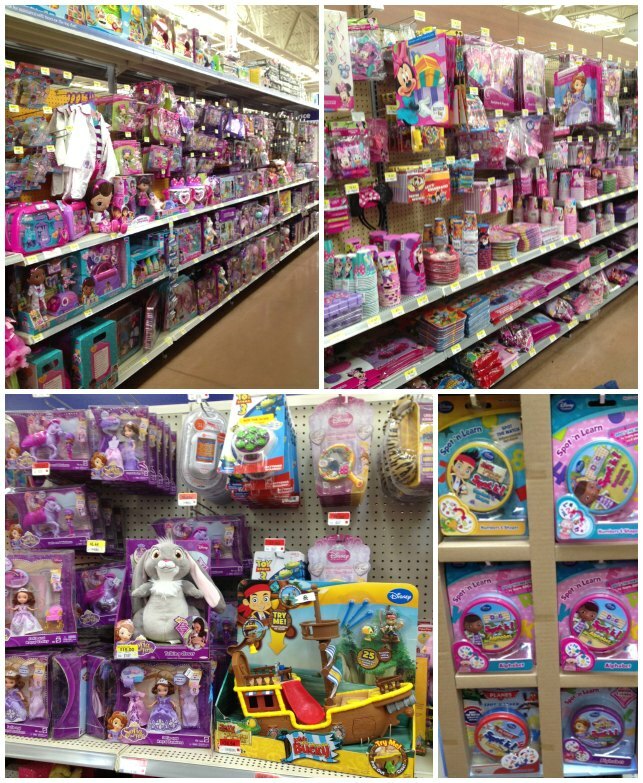 There was so much Disney Junior stuff to choose from! I found fun party decor items and some toys/games that were perfect to use for decor and fun activities. To set the scene, I used crepe paper streamers in colors that coordinate with the shows & some hanging character decorations from the different shows (plus our fun DIY Bucky sail). Themed plastic cups help set the scene on the table, plus work as a little party favor. Other party favors included some activity play packs and Disney Junior themed fruit snacks. Adding toys & games to the table really helps make the whole theme come together! I went with simple things for the food, but of course I tried to theme it as best I could. And, we had the four shows represented – something for Doc McStuffins, Sofia the First, Mickey Mouse Clubhouse, Jake & the Never Land Pirates. A little Sofia cup filled with red licorice was perfect paired with some “princess punch” (simple raspberry lemonade). 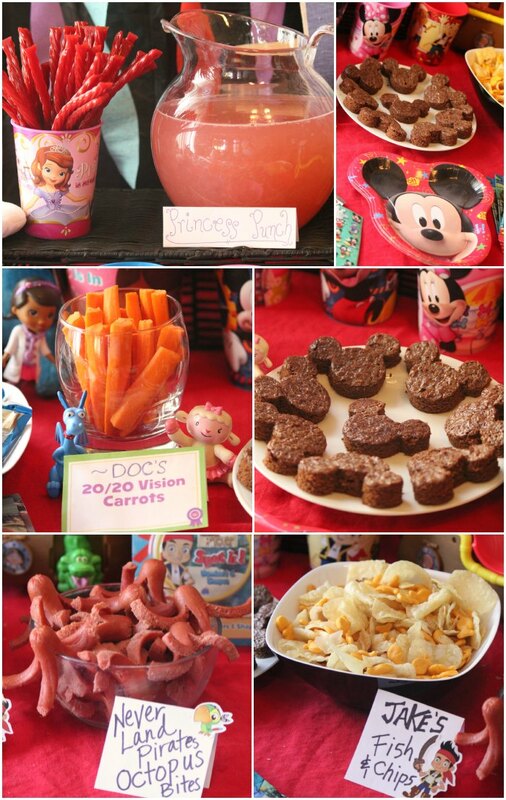 We also served up ” Doc’s 20/20 vision carrots” (free printable Doc McStuffins cards found here), along with some fun pirate food like Jake’s “fish & chips (potato chips & goldfish) and octopus bites (you can get directions for those in the pirate food post)! Lastly, we served up some Mickey brownies which are SO easy to make (I showed in a quick instagram video). The food was a BIG hit with the kids – those silly octopus hot dog bites go over SO well. And, the adults appreciated the humor in the “fish & chips”. After lunch, the kiddos were so excited to play some of the games and get out the toys. The Disney Junior Spin It games were a crowd favorite. And, as moms, we loved that it was something educational! We played many rounds of matching fun! And, of course, all the toys were quite popular too! So much fun! It didn’t take me long to put together at all, but was such a fun way to celebrate and play with friends! 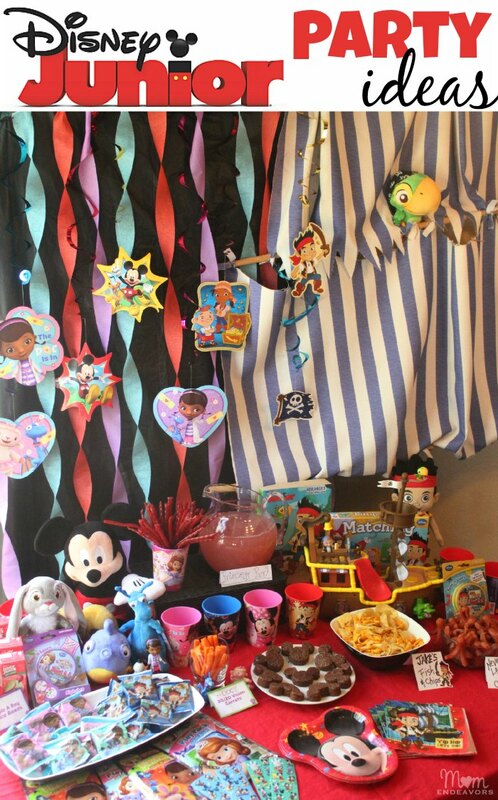 For more #JuniorCelebrates party ideas, be sure to check out the #CollectiveBias Disney Junior Pinterest board! What Disney Junior character/show(s) do YOUR kids like best? What a fun party! I love mixing all the characters because… it is just so hard to choose one favorite! Love your food spread. Adorable ideas. #client.